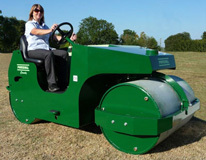 We carry out all servicing for your POWEROLL roller. Please phone or complete the enquiry form for more information. Please have your POWEROLL serial number to hand. Please complete the details of your enquiry and we will get back to you shortly.